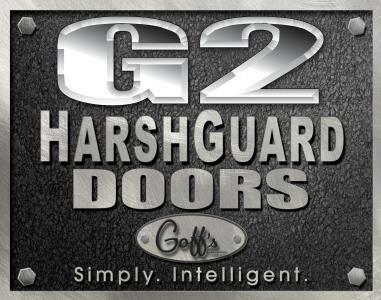 Clients are now choosing our G2 vinyl roll-up doors for their facilities to enhance team safety and productivity. The unique engineering behind our G2 system means that maintenance requirements are limited and building owner costs are reduced. There are no wheels, cables, or springs, so teams can focus on simply using the system for their day-to-day processes. Our team at Goff’s Enterprises, Inc. understands the challenges commercial and industrial facility owners face in managing their daily tasks. We take these challenges into full consideration during the engineering phase for our products, and that’s the reason our G2 vinyl-roll up doors continue to be the most popular for a range of applications. Why choose our G2 vinyl roll-up doors? Our door panels are designed for the highest level of security and for limiting maintenance needs over the long-term. Our vinyl roll up doors are designed to move up and down at 18” per second, ensuring complete control over the business environment. Each door we manufacture has high-level impact resistance and features fiberglass wind bars for durability. The door automatically resets when impacted by an exterior object to help your team keep moving toward their daily goals. Our high-speed doors meet the NFPA-701 & CSFM standards for flame retardancy, keeping your team safe and providing industry-leading levels of reliability. 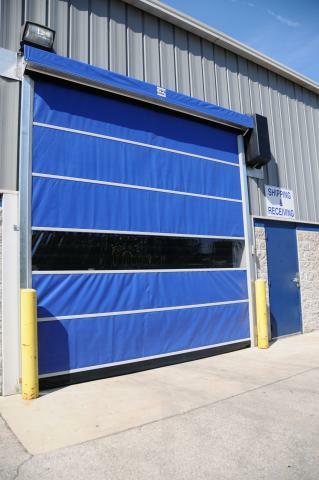 Our team at Goff’s Enterprises, Inc. has decades of experience manufacturing high-speed doors for clients in a range of industries. To discover more about our doors and the benefits they can bring to your facility, call us today.